Inspiration and motivation comes from many places! Trust me, I know because there are countless times that my own students inspire me. It’s incredible how much a person can achieve if he or she dedicate the time, stays patient and follows a smart path (program). So I thought I’d share my 3 factors to lasting success. 1. Accept yourself. This might actually be the hardest task of all. Accept yourself! You must accept yourself. Most people fail because they want the world to unfold for them in a week or two, but that is simply not the case. It can’t. It takes time. When people see changes in the first week or two they get excited. But by week four, too often I see people become discouraged because they can not accept themselves – they want change to come in an instant. You didn’t gain all of your weight in 4 weeks, it took years to gain weight, lose mobility and strength. And now you want those years of poor habits to simply be wiped clean in four weeks. Its the wrong attitude, this type of thought leads to failure. 2. Continue to challenge yourself, as you did in your first week. You have to continue to discover yourself, as you did in your second and third weeks. 3. Smile! I know, – smile? trust me, you must be happy to lose weight. You must be calm. If not your body will produce fat storing hormones like Cortisol that will derail your progress! So yes, relax, breath and smile. Maria lost the initial weight when she ordered the Scorcher Series DVDs. She lost over 30 pounds using the program and staying dedicated to her goals! A year and a half after losing the weight she got pregnant 🙂 To lose her baby weight Maria paired the Scorcher with the 7 Day Lean Program. She was actually able to follow the 7 Day Lean nutrition program and workouts, combining them with the scorcher while she was still breast feeding! Rachel actually said she never thought of herself as fit. After picking up the 11-disc KB Body Series program and dedicating herself to a result driven program she changed her mind- today the girl is an activity butterfly, and a FitSpiration! She lost over 25 pounds on the the program- In the beginning she was too embarrassed to start training in a gym. Now she has all three of our home fitness programs and rotates them with staying active, hiking, biking and always dedicating time to a KB workout of choice! Joyce lost over 55 pounds with the 7 Day Lean and Kb! 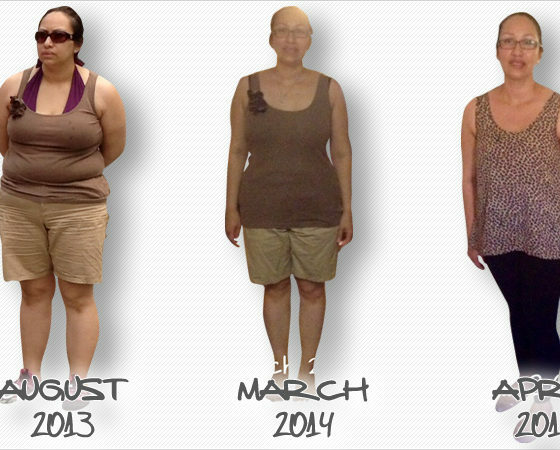 Joyce lost over 55 pounds with 7 Day Lean and KB! 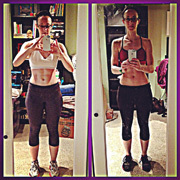 Joyce began taking KB classes last year, just around the time that Dasha was testing her 7 day lean program. 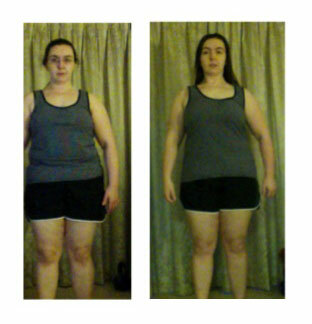 When Joyce agreed to try the 7 disc series and nutrition program the weight just began to drop off! Today Joyce is a busy mom of 3 kids and 8 animals, a wife and a strong, confident Kettlebell Kickboxer who never skips a workout! Share your Real Success Story with us by emailing it to rachel@kettlebellkickboxing.com – you never know who you’ll inspire! Plus we’ll email you a thank you bonus KB book. Want to add a challenge to your Scorcher Series?